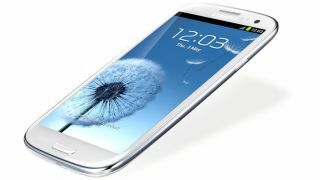 The rise and rise of the Samsung Galaxy S3 has continued with latest sales figures topping 30 million. The Android kingpin, which only arrived in May, reached the landmark figure this week, according to an announcement on Samsung Poland's Twitter page. At last count, less than two months ago, the 4.8-inch Super AMOLED HD device had racked up 20 million sales around the world. So with around 10m further shipments in the last two months alone, momentum continues to be high for the flagship Galaxy S3. Just yesterday came news that the Galaxy S3 had outsold the iPhone 5 to remain the UK's most popular handset for the sixth consecutive month. The Galaxy S3 had defeated the iPhone 5 in September also, but October's figures carry a little more weight as it was the new Apple smartphone's first full month on sale. With the Samsung Galaxy Note 2 already shipping over 3 million units worldwide after just a few weeks on sale, it looks like a very bright Christmas for the Koreans.